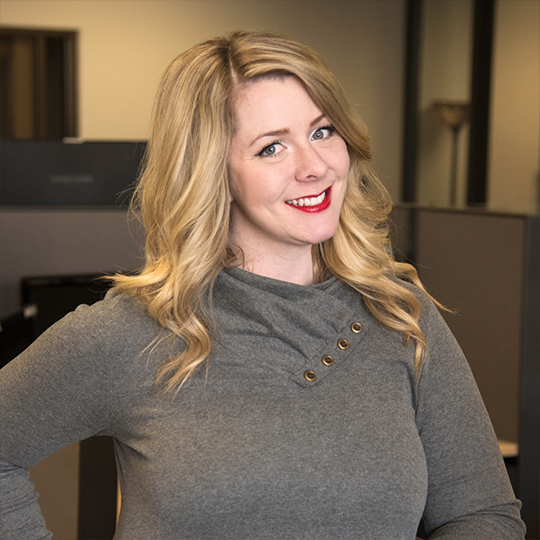 We're excited to introduce Izzy Peterson as Onsharp's new Website Project Coordinator! In this role, Izzy will work with our teams to transition clients from a signed website proposal to project completion. Hailing from Reno, Nevada, Izzy graduated from the University of Nevada, Reno in 2009 with a degree in Journalism with an emphasis in Public Relations and a Minor in Creative Writing. Before joining Onsharp, Izzy worked as a project coordinator and technical editor at a large environmental engineering firm. In addition, she built a web campaign from scratch for a mining association and traveled to college campuses around the country teaching students about the importance of domestic mining. Joe Hixson shared his excitement for Izzy joining the team, saying, "We chose Izzy for this role because of her past work experience, strong communication skills, attention to detail, and positive attitude. We look forward to watching her work to sustain meaningful relationships with our clients." Outside of the office, Izzy enjoys going to see live music, traveling, and trying new beers. Welcome to the team, Izzy! We're happy to have you here and can't wait to see the great things you do for Onsharp. If you haven’t already, make sure to follow Izzy on Twitter and learn about the rest of #TeamOnsharp here!